Snyder, Lorraine. "Rosemary Brown". The Canadian Encyclopedia, 18 October 2018, Historica Canada. https://www.thecanadianencyclopedia.ca/en/article/rosemary-brown. Accessed 21 April 2019. 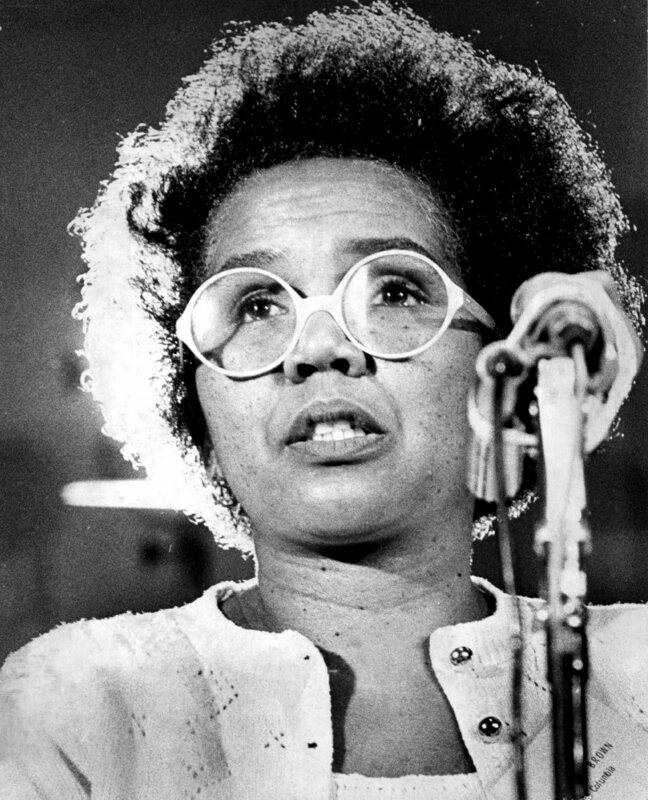 Rosemary Brown, née Wedderburn, OC, OBC, social worker, politician (born 17 June 1930 in Kingston, Jamaica; died 26 April 2003 in Vancouver, BC). Keynote speaker, at the opening of the first national conference of Women of Political Action, 16 June 1973. Rosemary Brown has the distinction of being Canada's first Black female member of a provincial legislature and the first woman to run for leadership of a federal political party. Brown was born in Jamaica to a politically minded family. She immigrated to Canada in 1951 to pursue post-secondary studies in social work at McGill University (BA) and the University of British Columbia (Masters of Social Work). As a young student, Brown encountered both sexism and racism first-hand when applying for housing or summer jobs, or simply fitting into university life. In 1972, urged by her fellow VSW members, Brown entered provincial politics as a New Democratic Party (NDP) candidate. 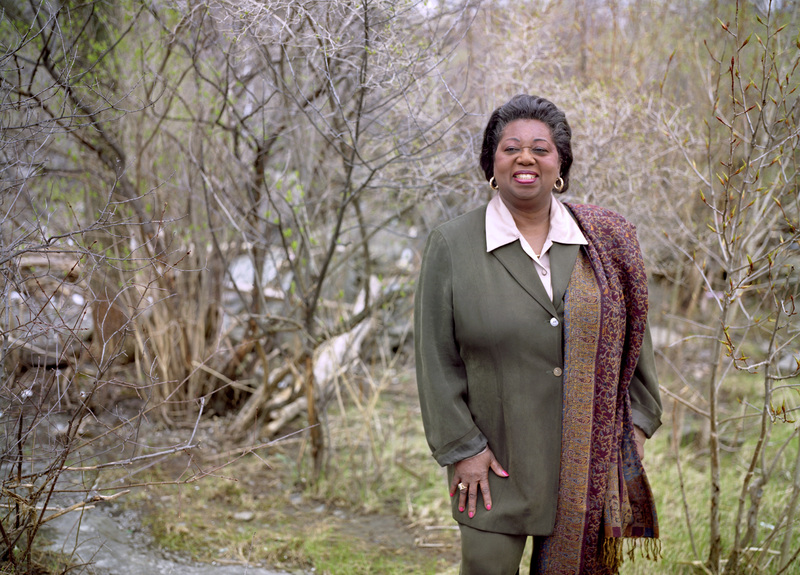 When, on 30 August, she won her seat in the riding of Vancouver-Burrard, Brown became the first Black woman to sit in the Legislative Assembly of British Columbia. During her 14 years as MLA, Brown created a committee to remove sexism in British Columbia's educational material and was instrumental in the formation of the Berger Commission on the Family, among her many other accomplishments. During that time, she also ran for leadership of the federal NDP in 1975. With the slogan "Brown is Beautiful," she broke colour barriers in the federal arena when she ran a close second to Ed Broadbent, ahead of three other candidates. 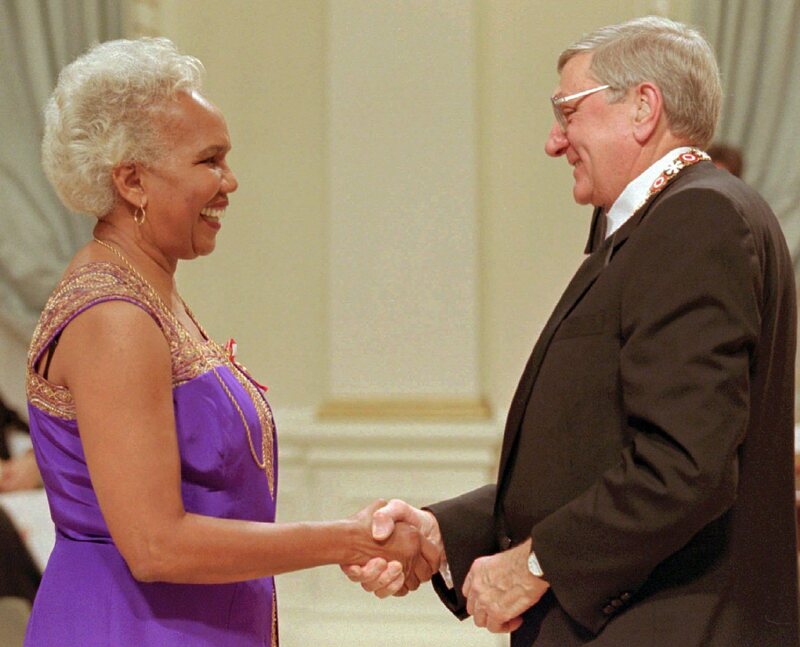 Governor General Romeo LeBlanc congratulating Ms. Brown at the ceremony in Ottawa on 13 November 1996. In recognition of her exceptional life of public service, Brown was awarded numerous national and international distinctions, including a total of 15 honorary doctorates from Canadian universities, the Order of British Columbia	(1995), the Order of Canada (Officer, 1996), and in 1973 the United Nations' Human Rights Fellowship. Brown's life, dedicated to breaking down traditional barriers against both women and Black persons in Canada, was documented in her autobiography Being Brown: A Very Public Life. On 2 February 2009, Canada Post Corporation issued a commemorative stamp that depicts Brown standing before the B.C. Legislative Building. Honorer les CanadiensLa Gouverneure générale décerne des distinctions honorifiques et des récompenses au nom de tous les Canadiens pour reconnaître les citoyens et citoyennes qui, par leur excellence, leur courage ou leur service dévoué d'un caractère exceptionnel, ont fait honneur au pays. Honouring CanadiansSearch this site for brief biographies of recipients of honours and awards presented by the Governor General of Canada.